MIDLAND, Texas – Tall City Exploration LLC announced today that it has closed an agreement with Moss Creek Resources, LLC to sell substantially all of its exploration and production assets for $803 million. Tall City’s E&P assets are comprised of the oil and gas rights to leases on approximately 71,000 acres in Howard and Borden Counties, Texas and interest in 34 horizontal and six vertical wells which produce approximately 3,750 barrels of oil equivalent per day. “When we formed Tall City Exploration in 2012, we believed in the opportunity the Permian Basin had to offer our team and investors,” said Tall City CEO Mike Oestmann. 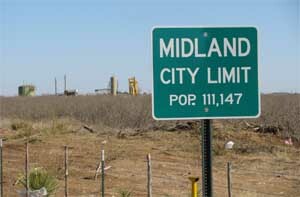 Midland, TX is the epicenter of the Permian Basin oil and gas industry. “I am extremely pleased with this transaction as it places Moss Creek in what we believe to be highly prolific acreage in the core of the Northern Midland Basin,” said Curtis Newstrom, president and CEO of Moss Creek Resources. “Our team’s on-the-ground experience and local relationships within the Permian helped us build and realize an unconventional opportunity set we believed was only beginning to be exploited when we started this company,” said Tall City President Joseph Magoto. “Denham has greatly enjoyed the collaborative partnership we’ve had with Tall City these past three years,” said Jordan Marye, Partner of Denham Capital.